The legal match-up between Paymaster Jamaica Limited and a subsidiary company of GraceKennedy Limited enters a crucial stage in three months when the case heads to trial. Paymaster, a forerunner in the bill payment service business in Jamaica, has launched what amounts to a $1.7 billion challenge against GraceKennedy Remittance Services Limited (GKRS) as well as software developer Paul Lowe, a co-defendant. The suit alleges that software specifically commissioned by Marks was shared with GraceKennedy, which subsequently set up a rival operation to her company, called Bill Express. Marks, who had shared her business plan with GraceKennedy which she tried to woo as a business partner back in the 1990s, is claiming that GKRS subsequently made use of the confidential information to establish a similar operation. The case is already now nine years old, having been filed by Paymaster founder and chief executive officer Audrey Marks back in 2000, at which time the court granted Paymaster an injunction that bars GraceKennedy from utilising the software acquired from Lowe. "The injunction remains in place and GKRS has not used the disputed software since," said GraceKennedy in a stock market filing Wednesday. Marks said she foresees no other hiccups. "I can't imagine what else could delay this trial. 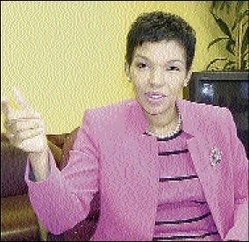 It's nine years in the making," she told the Financial Gleaner. "The last set of appeals took a year." The case would have gone to trial in July 2008 - a date agreed by the parties back in 2006 - were it not for a challenge by GKRS to a supplemental witness list filed April 14, 2008 by Paymaster that the remittance company said introduced new information in the case and ought to be struck down. GraceKennedy said in the witness list filing laid out - "for the first time" - the claim to losses of J$652.6 million and US$12 million (J$1.068 billion). The court ruled against GraceKennedy on appeal essentially disagreeing with the argument that the witness list raised new claims, and decided it could be produced at trial, which will onfold over two weeks from October 12-23. Paymaster's challenge is based on the argument that it had exclusive licence to the software that Lowe sold to GraceKennedy. The $652 million claim by Paymaster is reportedly for special damages linked to the alleged copyright breach. The conglomerate and its subsidiary have denied any wrongdoing. "Based on the opinion received from the company's counsel and in accordance with accounting standards, no provision has been made in the company`s accounts in respect of this action," GraceKennedy said in its disclosure to the stock exchange.